Sue is beaming, and exudes everything a person could hope to encounter when meeting anyone, not least a Coronation Street legend. Indeed, next year sees the fortieth anniversary of her first appearance on the programme in 1979 as Audrey Potter, now Roberts. Her joie de vivre is abundant, and given that such opportunities to chat with her are a rarity, my fellow blogger Martin Leay and I felt extra privileged to be in her company. 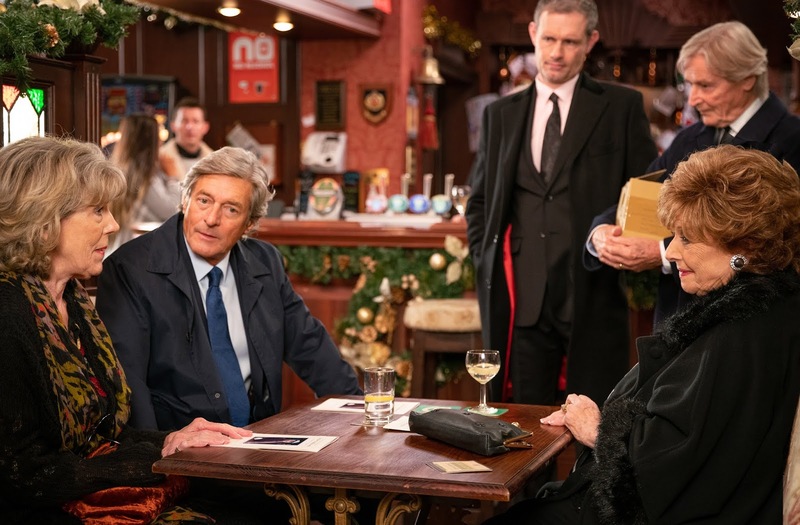 We’re in Manchester on behalf of the Coronation Street Blog to chat about what lies ahead for Audrey over Christmas, and so those not wishing to know what’s in this particular present, should leave it wrapped and under the tree for now. If you’re still reading, pour yourself a smooth Burgundy, and imagine you’re in Grasmere Drive, where our story begins with the return of that most splendidly shameless of cads, Lewis Archer. 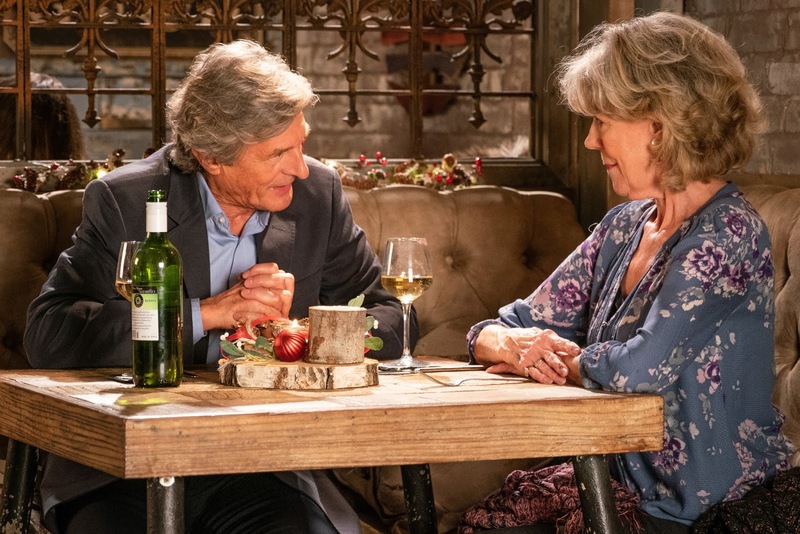 Yes, Nigel Havers’ sublime character arrived back into Audrey’s life again earlier this year, sweeping her off her feet, on to a fictional cruise, and into Gail’s bad books. I absolutely adored that storyline, and wrote all about it here. The pair have remained afloat since, but the Christmas previews indicate there may be choppy waters ahead. We now know that Audrey is set to inherit £80,000 from poor Archie Shuttleworth, as the undertaker himself finally goes under. I couldn’t help but wonder at the news if Ken’s salacious tales of his anonymised escapades with Audrey in the Weatherfield Gazette had proven too much for him. We have also learned that Lewis will be seen wining and dining a mystery woman with whom he heads to a hotel room. Oh dear. And how do we know this? Gail, of course, who reprises her role as a spy. Also in the previews is that Gail breaks this news to Audrey, Lewis stands her up on a date, and her inheritance is wiped from her account. We’re then told Audrey sits alone on Maxine’s bench, and breaks down in tears. It certainly doesn’t sound a very Merry Christmas for poor Aud. So, is it possible that Lewis is just a bad guy after all? Sue says of her character, “There’s a bit of me where the doubts have actually started to make me worry. But you see, what you don’t realise is, that I really love Lewis.” She observes how true to life Audrey’s situation is, when an old flame that has treated you poorly returns and your desire to send them packing vies with the undisputable spark between you, and the desire for companionship. Asked if there would be any hope for Audrey and Ken perhaps, Sue replies, “Aw, how lovely. I’m not giving anything away, I’m about to go and do a scene, literally after I’ve spoken with you, and I’m desperately rude to Ken.” We audibly gasp. “I know!” Sue says. “And then, in a few days time,” she continues, “he comes back and tells me off. But it doesn’t matter, it’ll be fine.” She adds, “I’ll tell him that, if I may, when I’ve stopped being rude to him.” Sue smiles. “No, Claudia’s in there,” she acknowledges, shifting in her chair, her face falling, “well in there.” It’s the only glimmer of disgruntled Audrey we see today, and it’s hilarious. When it is suggested to Sue that showing older characters falling in love gives a good message to viewers, she wholeheartedly agrees and notes that it’s true to life. Speaking of a story pitched to her years ago which involved a lonely Audrey going home and drinking a lot, Sue explains how she didn’t agree with it and asked at the time, “Why do you think somebody of – whatever age I was – because they just work in the salon and then go home, that they’re lonely and they’re going to drink? Not necessarily.” She adds, “To be honest, I can’t wait to get home, plonk on the sofa and pour the Rosé, but it’s not because I’m depressed. And I tried to pitch it back to them to say I don’t really want to play that I’m a drunk forlorn little thing because, again, it’s the age.” Sue was then happy that the storyline didn’t come to fruition. Asked what the secret is to playing drunk, Sue cites her husband, Mark Eden who played Alan Bradley. “He always says the secret is you don’t play drunk, you play trying not to be drunk,” she says. 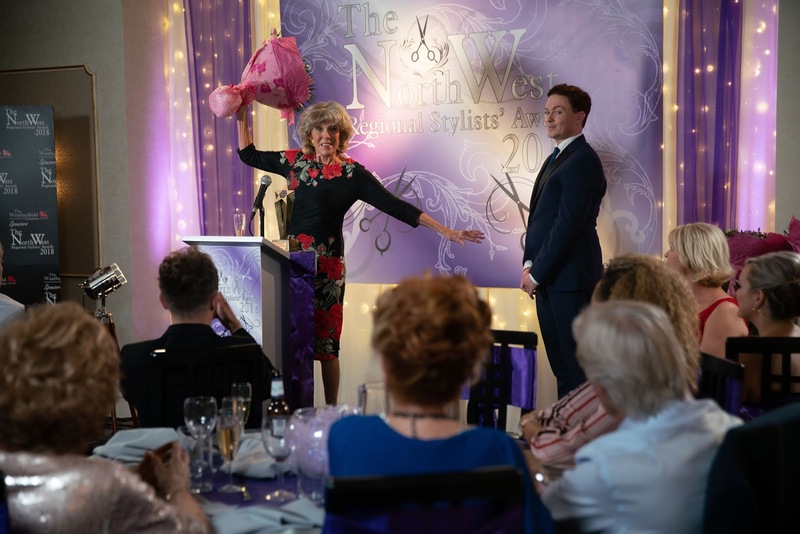 It sounds as if we might be treated to more comedy scenes as Sue tells us of Audrey’s plans to treat the family to a holiday with her inheritance, and the mixed reaction at the campsite-style vacation she proposes. “I give them a little ticket each. We have a family meal and I say, ‘there’s your Christmas present.’” However, we’re told neither the big private balcony with views of the ducks, the hot tub or the watersports on offer do much to sell it. “Can you imagine the family?” she asks, laughing. Yes, and I’d want to see it for David’s face alone. Sue is asked if Gail will be insufferable at suspecting the worst of Lewis. 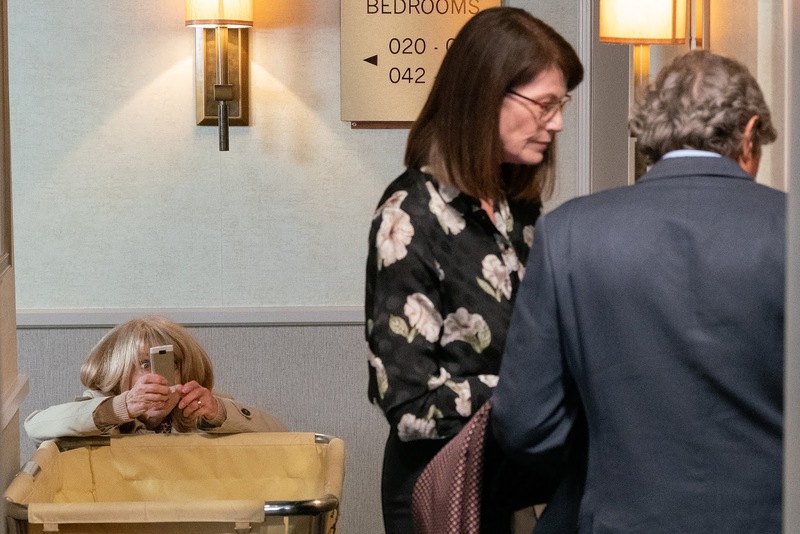 “If I see it from her point of view, she was really hurt, however many years ago it was,” Sue replies, adding, “She tends to forget that I was hurt too.” We’re told Gail is full on with this storyline. “She doesn’t come in the door without saying, she’s seen him cross a road with a woman, and then seen him doing something else,” says Sue. “But I don’t think she’s doing it through spite, she actually genuinely believes it, and cares.” We’re told Audrey doesn’t take this well, and Gail gets on her nerves a lot. In terms of where Audrey is at in her life generally, in addition to still loving the salon, Sue says, “I think she is a family person…I’m happier now being the grandma, I think again it’s the age thing, you transcend up to that, and you can be more family orientated and speak to the kids more. The only person I never get through to is Gail. But long may that be really.” Hear, hear! While I’ve no idea where this is headed, I’m going to choose to keep the faith on this one, and really hope they stay together, as they make a great couple. But alas, Lewis has form, and there’s no denying that he’s up to something behind her back. Only time will tell how it all plays out. I would have talked to Sue all day, but sadly it had to come to an end. As she moved to leave, she exited as she arrived, laughing and joking with a twinkle in her eye, and that mischievous grin. Press days don’t usually conclude with cheers and a round of applause, but this one most deservedly did. Sue is a genuine delight to spend time with. She has a fantastic sense of humour, and shines with a gorgeous energy that is as infectious as it is lovely to witness. 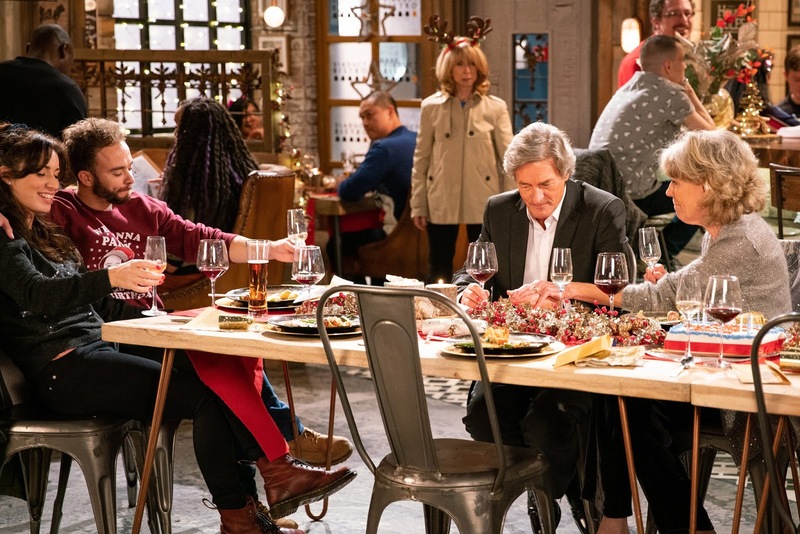 No matter which way it goes for Audrey this Christmas, we know that it will be a gift to watch with Sue at the centre of it all. This interview was conducted on behalf of the Coronation Street Blog.